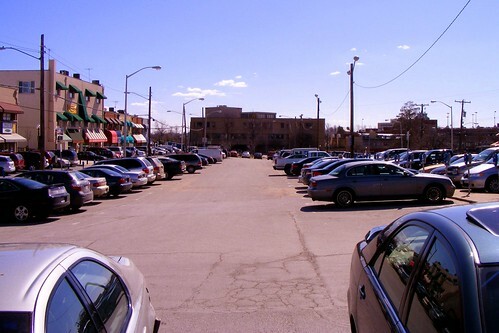 Moving Park and Planning here won't help Wheaton much. County Executive Ike Leggett says the best way to kick-start the revitalization of downtown Wheaton is by moving the Park and Planning Commission there. Will government offices be enough to get the ball rolling? Past experience says it's unlikely. In October, the Commission received a $200,000 grant to study moving its offices. Its 400 employees work at three offices in and around downtown Silver Spring, including their headquarters (we call it "the Fortress of Planning") at 8787 Georgia Avenue, which dates to the 1950's and is both cramped and obsolete. Eight years ago, the department proposed building a new headquarters on the site called SilverPlace, but it stalled due to a lack of funding. Enter developer B.F. Saul, which wants to redevelop six county-owned properties in downtown Wheaton totaling eleven acres. They propose building a 120-room hotel, 40,000 square feet of retail space, between 250 apartments, in addition to 900,000 square feet of office space. B.F. Saul and the county are reaching out to government tenants, like the Park and Planning Commission, to fill those offices. Not everyone's convinced a market for offices in Wheaton even exists. 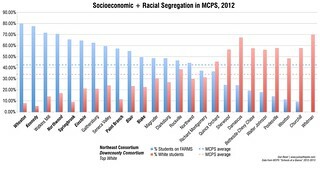 Downtown Wheaton's not too close to established job centers, and its 10,000 current workers pale in comparison to other places throughout the county, such as Bethesda-Chevy Chase (87,000 jobs), Rockville (74,000 jobs), and even Silver Spring (38,000 jobs). 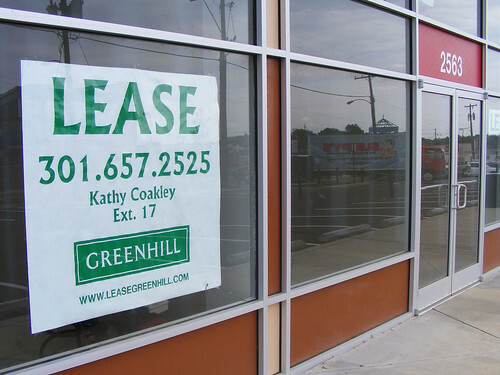 Previous visions have instead focused on entertainment or housing in the downtown, while strip mall developer Leonard Greenberg complained Wheaton couldn't support offices back at the height of the real estate boom in 2006. Even if you could build and rent high-end offices in Wheaton, they won't do much for the local economy. As Richard Layman has pointed out, office workers don't spend much and don't go to a variety of stores. A rule of thumb is that one worker needs about 250 square feet, so with 900,000 square feet of office space, we can assume that 3,600 people will work there. Retail consultant Robert Gibbs says one worker can support 2 square feet of retail, meaning they'll only be able to support a space of 7,200 square feet, about half the size of a CVS. Gibbs says they can also support 5 square feet of restaurant space, which would equal 18,000 square feet. By comparison, a typical "quick-service restaurant" like Noodles & Company or Chipotle needs about 2,000 square feet, and a sit-down place needs about 6,000 square feet. It would take 3,600 office workers to keep a Red Lobster, a few Chipotle-like restaurants and half a CVS in business. 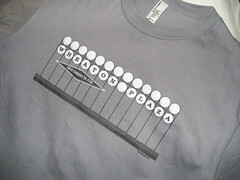 So how are 400 Park and Planning workers supposed to revitalize Wheaton? Empty stores on Ennalls Avenue in downtown Wheaton. 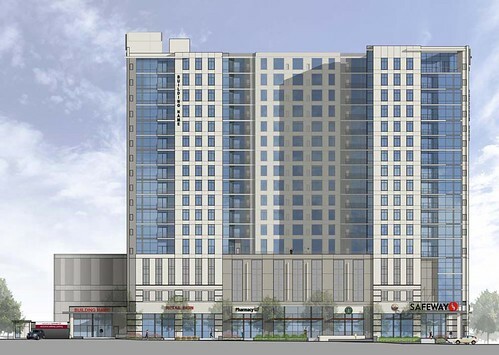 The same Planning Department that Ike Leggett wants to move to downtown Wheaton also produced the recently-approved Wheaton Sector Plan, which recognizes that the area can't draw and won't support a lot of office development. As a result, the plan allows for just 3,000 additional jobs, not just in office buildings but in all fields of employment. Meanwhile, it calls for 6,600 new homes in downtown Wheaton. Housing would do a lot more to turn Wheaton around, because unlike office workers who are only obliged to be there 40 hours a week, residents are there almost all the time, meaning they can spend a lot more money. New apartment buildings like the Exchange, currently being built at Georgia Avenue and Reedie Drive, could help downtown Wheaton more than offices. Another boost might come from the new campus of Ana G. Mendez University, a Puerto Rico-based institution that will start offering classes at Westfield Wheaton Wheaton Plaza this winter. The school offers associate's, bachelor's and master's degrees to working adults and classes offered in both English and Spanish. Though its projected enrollment of 600 students within five years means it won't have a big impact on local businesses, the school's evening and weekend classes will bring people to the area at times when most office buildings are dark. Promoting office development in Wheaton is a good thing. I've written before that it might be a good location for companies with back-of-house operations that don't need a fancy Bethesda address. At the same time, it's not a justification for moving the Park and Planning Commission out of Silver Spring especially when its departure will just leave a vacant lot with no prospects for reuse. Offices are just part of a strong, vibrant community, and it'll take a lot more to turn Wheaton around. I hope the County Executive is patient enough to embrace all forms of development there, rather than going after a perceived "quick fix."